Enterprise resource planning (ERP) and customer relationship management (CRM) are evolutionary cousins. They share common descent as business software dating back to the 80s. Back then, the introduction of personal computers and client/server architecture to the workplaces had led to a boom in software development. A few years later, the first contact management software was born. ERP and CRM branched off in the mid-90s. Around that time, contact management, database marketing, and sales force automation had begun to look like modern CRMs (albeit strictly on-premises). Enterprises began investing in software tailored to their particular needs: product planning, manufacturing, shipping in addition to sales, marketing, customer service, and payment processing. Both began as a means for companies to store their customers’ data and deploy it swiftly and strategically. CRM continues to incorporate sales and marketing automation, customer service tools, and machine learning features for B2C/B2B companies while ERP — without lacking CRM’s capabilities — aims to provide an integrated suite of business applications based on centralized data to track, manage and analyze transactions, orders, revenue and more. If you’re in the market for business applications, you might have wondered which branch of business software is best suited for your company. Let the battle for ERP vs CRM begin. What are the advantages of ERP? Enterprise resource planning software consolidates company data that is accessible for key functions across the enterprise — from the supply chain to warehousing to distribution to order fulfillment to accounting. A fully integrated ERP software suite can provide real-time updates to all affected branches of the company. For example, if a shipment is late to a warehouse, its status would be available to any parties authorized to access that data. 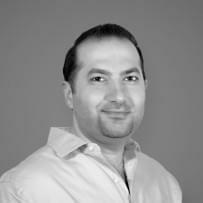 Centralized Data — ERP systems operate from a central pool of data. Updates are shown in real-time, offering commonality between modules which improves visibility, enables consistent reporting, lowers administrative costs to maintain data integrity, and allows for better data forecasting and collaboration with fewer security vulnerabilities. Financial Accounting — ERP modules for financial accounting implement features for general ledgers, cash management, invoicing, payables and receivables, financial consolidation and so on. Order Processing — These modules provide functionality around all aspects of orders and fulfillment, such as order entry, credit checking, pricing, inventory, shipping, sales analysis and reporting. Human Resources — ERP HR modules improve the manageability of employees with regard to recruiting, onboarding, payroll and benefits, retirement contributions, diversity management and severance. It also allows the tracking of employee data, including personal histories, skills, capabilities, accomplishments and salary. Manufacturing — ERP systems can monitor product development, bill of materials, work orders, scheduling, capacity, quality control and workflow management. Depending on the level of integration with production facilities, a module tracking manufacturing processes also provides real-time insight on the production timetable. Supply Chain Management — Depending on the platform, ERP suites provide supply chain management tools categorized as eight sub-processes, including customer presence, order entry, fulfillment, distribution, invoicing, customer payments, cash applications, deductions and collection. Other functionality includes supplier scheduling, product configuration and warehousing. Customer Relationship Management (CRM) — Many ERP systems include CRM capabilities to focus on the customer-facing side of business, particularly sales, marketing and customer service. The CRMs offered by ERP vendors have the advantage of native integration with ERP functions, which allow seamless communication of accurate data. Similarly, many ERP suites integrate with better-known third-party CRM platforms. Extensions — ERP systems can be extended with third-party applications for improved reporting, data capture from external hardware, access to specialized capabilities like advanced data analytics, planning or marketing data and management of facilities. You’ll notice that CRM is actually included within ERP. Enterprise resource planning seeks to improve operational efficiency, managerial efficiency, data integrity and security, whose advantages are realized internally; customer relationship management software addresses customer-driven and customer-focused interactions. Companies large enough to require enterprise resource planning software still require the customer-driven features of CRM, after all. Customer relationship management focuses more on the customer experience, and coordinates business activity to promote a seamless and positive buying journey. CRM software is less comprehensive than ERP software — there are solutions aimed strictly at sales automation, marketing automation or customer service. Some platforms provide all three; others provide a combination of sales and marketing. Depending on the solution, some of these features may be more present or better implemented than others. Contact Management — CRMs organize your contacts by name, organization, role and a number of explicit and implicit criteria. Most platforms allow the importation of contacts via various file formats or through email sync. Contact management tools include bulk edits, custom tags and fields, the ability to turn contacts into leads and reporting tools based on contact-related data. Task Management — CRMs organize tasks for multiple users, allowing for the creation and assignment of tasks within a team, notifications for upcoming or completed tasks, and automatic task updates configured to certain inputs. Some platforms enable calendar integration for users to associate tasks with events. Multichannel Integration — Depending on the platform, a CRM can unify various customer channels including email, phone, SMS, social media and web chats. Modern features allow the integration of third-party mobile messenger apps. Some apps integrate these channels better than others, and enable automatic email logging, call logging, call recording and transcription, notifications based on received communication, reminders for outgoing communication and so forth. Notifications — Many CRMs enable real-time alerts based on a variety of customizable triggers, including received emails or calls, upcoming tasks or events, new leads or opportunities, an update to deal activity, a threshold for lead score or social media activity and so forth. Depending on the platform, notifications can be sent through email, SMS, desktop updates or more. 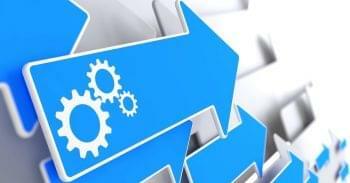 Sales Automation — Sales-oriented platforms enable users to configure if-then rules, some with successive layers of complexity, to automate repetitive tasks relating to CRM use within the sales process, such as task or event creation, record updates and notifications relating to deal progress within the sales pipeline. Other automations can include profile auto-enrichment of contact and lead data from social media, email signatures or publicly-available data. Sales Pipelines — Sales CRMs allow users to create and track deals within a sales pipeline. Depending on the solution, the CRM may allow multiple pipelines with custom stages to accommodate different sales processes, and automations according to pipeline-specific triggers like new deals created or a change in pipeline stage. Some CRMs go a little further, and allow custom opportunity fields according to the pipeline. Lead Management — Like contact management, lead management tools enable CRM users to organize and track their leads with tools for lead qualification, lead scoring, segmentation, lead-specific notifications, the function to turn contacts into leads, bulk edits and so forth. CRMs also enable varying degrees of reporting on lead data and activity within the CRM. Email Marketing — Certain sales CRMs also include email marketing features or integration with third party email marketing platforms, while complete marketing solutions include email marketing alongside marketing automation. Email marketing solutions provide mass email functionality, email templates, template design (usually drag-and-drop with no HTML knowledge required), email triggers, segmentation, custom landing pages, A/B tests, tracking, analytics and reports. Email marketing is an essential tool for online lead nurturing and enables marketers to determine the highest quality leads. Marketing Automation — Marketing automation platforms allow users to create and manage marketing campaigns that include email marketing, website tracking, dynamic content, lead scoring and sales CRM integration. Marketers can design a series of automations that increasingly personalize interaction based on the nature and timing of prospect behavior and responses. In certain cases, entire customer journeys could be automated with minimal human oversight. Social Media Integrations — Novel technologies are in development to refine social CRM functionality for social sales, marketing and customer support. Social CRM features include tracking advertisement ROI, web-to-lead forms on brand pages, turning direct messages into contacts or support tickets, sentiment analysis of brand mentions while the CRM itself can integrate social networks so users can update their feed, like comments, tweet, retweet or reply without leaving the platform. Ticket Management — CRMs with customer service features or helpdesks offer ticket management tools, such as a unified multichannel inbox (bringing together tickets submitted over emails, calls, SMS, etc), canned responses, call features and ticket assignment rules which allow even distribution of tickets among agents (round robin) or selective assignment based on ticket types or other criteria. Users can also make bulk edits to ticket status, assignment or other properties. Certain helpdesks are rolling out machine learning features to assist agents in making the most accurate response or one tailored to mollify unhappy customers. Customer Self-Service — Customer service platforms usually provide tools to build customer-accessible knowledge bases — libraries with how-to articles, written guides, videos or webinars — and community forums segmented by topics, features, product or brand. Helpdesk admins can assign moderators, and depending on the platform, can elevate posts into tickets. Certain self-service resources can be made selective to clients with the appropriate login credentials for company-specific assistance. Reports — Almost all CRMs, whether sales, marketing or service-oriented, provide basic reporting functionality or integration with a third-party reporting service. The level of built-in reporting and analytics functions vary by platform, with some platforms offering filters of CRM data presented in list format while others visualizing the data in a series of charts, with custom filters and forecasts. In addition, some platforms offer users customizable dashboards so specific KPIs are accessible upon opening the application. Mobile App — Most CRMs, even free ones, also provide a mobile app for users to access key CRM data or functions from mobile devices. While mobile apps may be of varying quality, and some solutions offer mobile-specific tools like geolocation or embedded maps, they all usually work on multiple operating systems and devices. Some CRMs provide their mobile SDK so developers can design their own mobile CRM app to best suit their needs. Integrations — Many CRMs provide both paid and free extensions to complement or improve upon built-in functionality in reporting (third-party visualization and analytics tools), multichannel integrations (computer telephony, social media, web chat), marketing features (email marketing, content management systems), other business applications or proprietary data. Developer API — CRMs that don’t offer native integrations with essential business apps still typically offer their API, which allows developers to more easily create custom interactions between their CRM and third-party software. There is a very wide variety of CRMs with features tailored to specific industries, company size and communication channels. One common feature is their extendability: CRMs frequently integrate with third-party platforms to provide access and CRM functions to external data without needing to leave the platform. 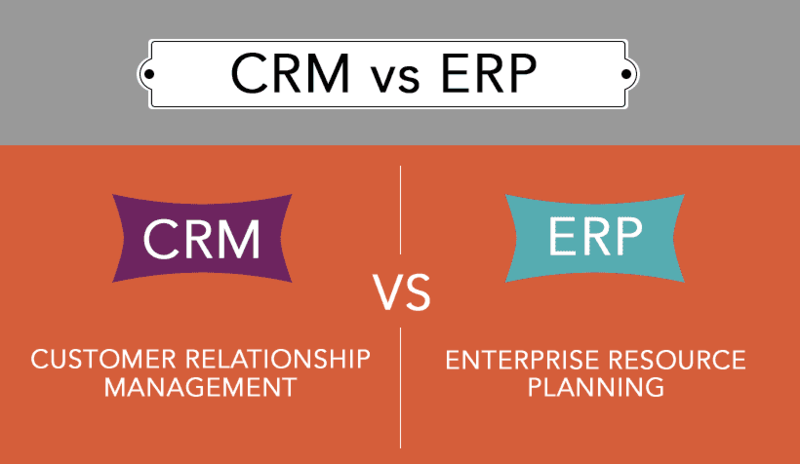 ERP vs CRM: Which One Should I choose? As is always the case with business applications, the answer depends entirely on your use case. 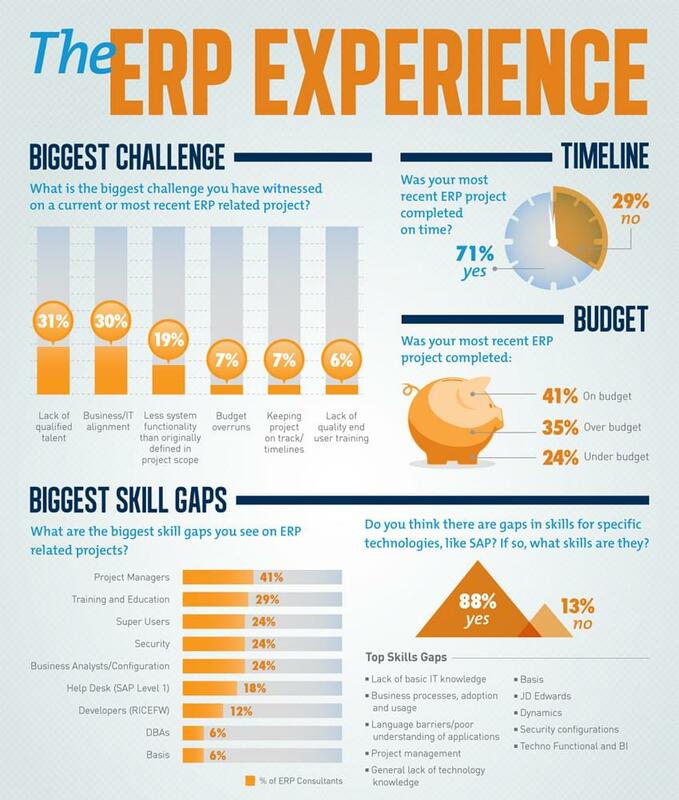 Broadly speaking, ERP contains much of what’s in CRM. Contact management, sales and marketing automation, ticket management, and extensions — the features for optimizing the customer experience are still quite pertinent to large enterprises and smaller businesses alike. The question is if you require the extra functionality and can manage the added expense of ERP software. It’s cost ineffective to pay for modules with functionality geared toward companies overseeing multiple stages of their product lifecycle if you won’t foreseeably grow into that role. Companies that sell online services, small businesses selling only a few lines of products, consultants offering experience and a high-value skillset, and so forth have little need of a manufacturing module, and their income may not be so complicated to require an accounting module. ERP offers considerable value for companies large enough for whom the gains in efficiency, security, and oversight outweigh the relatively high cost to implement the hardware and software and onboard users. Prices for ERP suites, even cloud-based ones, are typically offered individually by quotes. The price applies to a core set of features that can be extended, optionally, through additional modules. While cloud-based ERP entails lower upfront cost than on-premises ERP, both are considerably more expensive than CRM. CRM lacks the security and seamlessness of ERP — which operates off a single database — but some CRMs come close. The advantages of CRM are its relative affordability, the ability to customize platforms to individual use cases, and the ability to subscribe for solutions that more narrowly fit your needs. Cloud-based CRM solutions, which are the norm, are far more secure and scalable than their on-premise forebears from the 90s and early 00s. Companies can upgrade whenever they like, and depending on the vendor and the contract, sometimes downgrade with little penalty. Downsides Catered specifically for enterprises, expensive, serves no purpose for SMBs Features are built for SMBs and large companies, but don’t go far enough to handle everyday needs of enterprises like warehouse management, shipping costs, and other technical tasks. There are three general categories of CRM software: sales automation, marketing automaton, and customer service. (The industry giants typically provide all-inclusive solutions with integrated functionality for all three.) Sales automation platforms offer features to optimize your sales process and are sold on a variety of subscription tiers, often with online feature comparisons, with annual or monthly billing, free trials, live demos, and occasionally a money-back guarantee. Some solutions offer free versions with restricted features and a limited number of users. Marketing automation platforms are a bit more expensive, and are paid monthly on an annual contract according to the number of contacts stored in the database. Subscriptions usually offer a group of seats for users. Rather than selling escalating subscriptions with an increasing array of fixed features, certain vendors allow their users to subscribe to marketing modules (not unlike ERP) so they can use only the features they require — such as email marketing or social media marketing. Helpdesk ticketing software provides ticket management features and is also billed monthly on an annual contract. Helpdesks are typically billed using a a subscription rate per user; subscription tiers offer an escalating range of features for higher prices. Users have access to the helpdesk tools while some platforms allow a limited number of light users (essentially, observers without the ability to interact with customers). Therefore, when comparing ERP and CRM to see which serves your needs best, consider whether you’ll foreseeably require the high degree of data consolidation, tracking, oversight, security, and asset and process management. If you won’t, and also if your budget demands you obtain only the functionality you absolutely need, most small to midsized businesses are better suited obtaining CRM software and covering any gaps in functionality through integrations. Granted, there are more vulnerabilities when combining solutions from separate vendors. You won’t have as encompassing insight into your data as enterprise-grade business software, but top-of-the-line CRMs are pretty damn close. ERP might be overkill while CRM could offer high performance in the narrow range you need. The traditional advantage of enterprise resource planning software is it brings business software functionality under one roof. This was especially valuable when it was difficult to integrate disparate best-of-breed solutions. Operating off a single database streamlines many business processes for sales, marketing, customer service, accounting, human resources — you name it! Cloud-based specialized business apps have closed that gap considerably, though. Native integrations between CRMs and accounting, analytics, scheduling, automation, and collaboration software diminishes the downsides of ‘patchwork’ solutions and enable non-enterprise businesses to obtain a high level of functionality at a scale and price suitable to their size and budget — even for businesses with ambitious plans for growth. Looking for an all-inclusive CRM? Check out our free comparison guide for provider overviews and user reviews. For solutions in specific verticals — sales, marketing or customer service — check out the links posted above. That should put the rest the age old debate between ERP vs CRM. In the end, it really depends on what you are looking for.